"Problems are like washing machines. 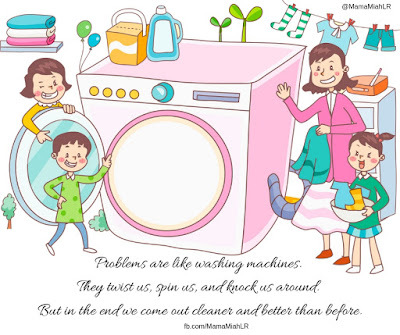 They twist us, spin us, and knock us around. But in the end we come out cleaner and better than before". Stumbled on this video, Yoga For Anxiety and Stress and thought of trying it and see if there's an improvement. 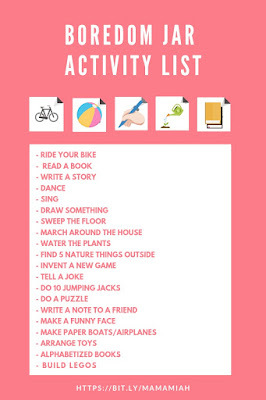 My daughter always say "I'm bored" especially when she see a kid or group of kids playing with their gadgets. I have also observed that when the screen time is over, she keep on saying "I'm bored", which is already annoying because she'll keep on bugging you thinking she will get to use the gadgets again if she'll cry and persist on what she wants. I pity her sometimes, thinking she's the only one who don't have a gadget to play on, but I stand firm on my decision to lessen her screen time to no screen time at all (if it can be helped) because it is for her own good anyway. I don't really give in to the tantrums, and when I say "NO", it's already final and I have to be firm about it. So, when I found out about the Boredom Jar just recently, I was so happy and I must say, it is really effective! 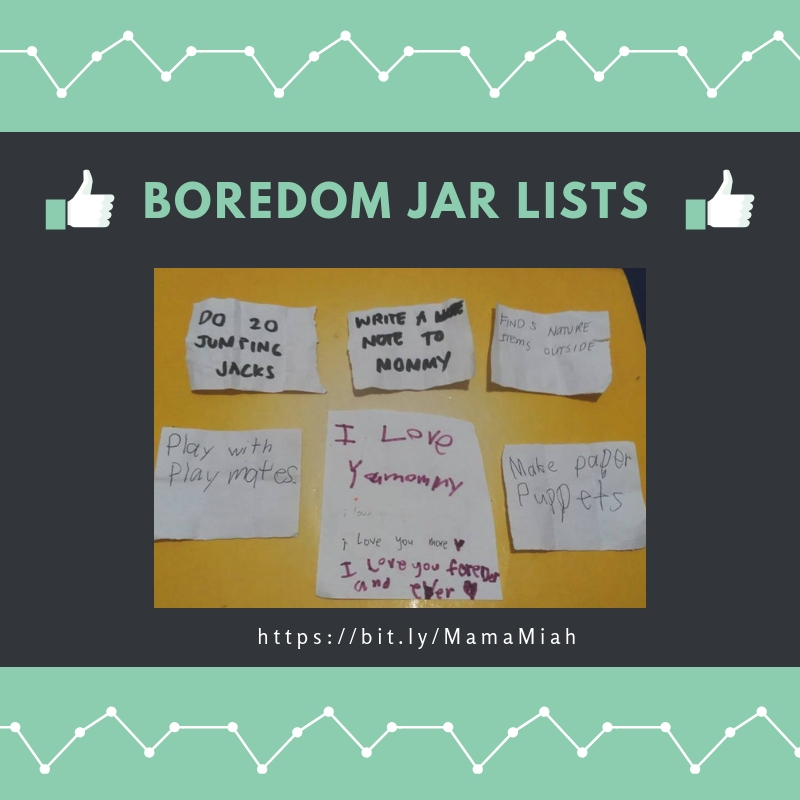 I made my own list and when I heard her say "I'm bored" again, I told her about the Boredom Jar and how it works. 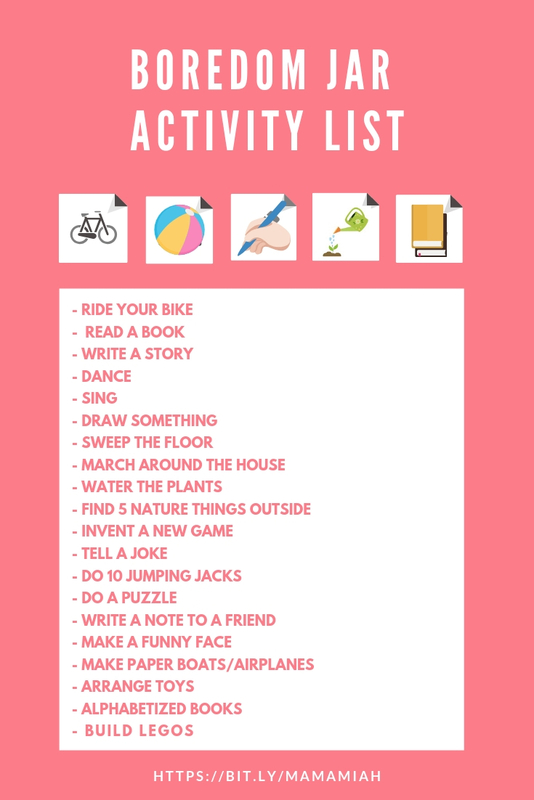 As I was writing and adding up more tasks, my little one helped me fold the papers and she also thought of some things to do and add it up to her Boredom Jar! Hahaha! 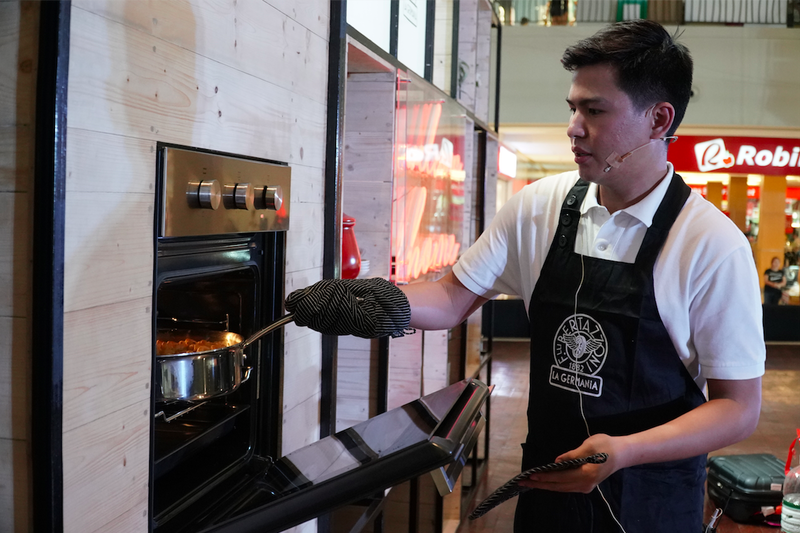 Home cooks and chefs from Davao were in for a treat as La Germania brought in its first-ever roadshow to the city. The premier cooking range brand opened a one-of-kind cooking and homemaking expo dubbed Welcome Home at the Activity Center of Abreeza Mall last September 8-9, 2018. Not your typical show, the Welcome Home mobile exhibit featured the wide range of La Germania products and allowed both home cooks and chefs to get a glimpse and feel of what an efficient kitchen range could do for a household. To kick-off the mobile exhibit, brand representatives and advocates started the affair with a ceremonial ribbon-cutting ceremony that marked the official opening of the Pop-up Gallery. After which, guests and La Germania followers were regaled with various workshops and demos. Visitors also enjoyed whiling away the time at the La Germania gallery where they handled and inspected various La Germania products on display. The showcase provided an excellent opportunity for visitors to experience first-hand the fine quality of these tools. Filipinos have always been known to have a fondness for excellent food and drink – especially when it comes to home cooking. With this in mind, La Germania paid host to a cooking demo led by celebrity chef Jeremy Favia of TV5’s Chef vs. Mom fame. 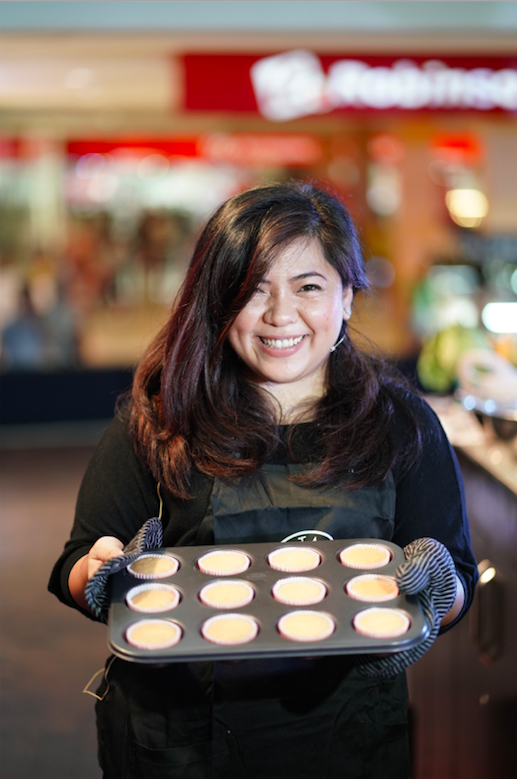 The workshop themed “the art of cooking “beautifully” taught Welcome Home participants how to spice up what are considered traditional Filipino meals La Germania style. Chef Jeremy introduced sumptuous Filipino dishes with a twist that would surely liven up Filipino dinner tables. These recipes included a “Three Cheese Macaroni” and “Chicken Caldereta Hash”. These dishes, which are notches higher than the usual viands served in most households, could definitely tickle anybody’s palate. 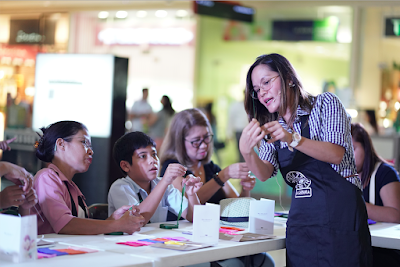 Moms and their children aged six to 12 on the other hand, enjoyed a cupcake baking and decorating workshop headed by chef consultant and food stylist Karina Rodriguez who is best known for exclusive cooking and baking classes for kids and adults. Welcome Home participants, particularly kids, learned how to properly use an oven, and bake and decorate cupcakes. They also took home their baked masterpieces as well as branded hats and aprons as souvenirs. In addition to the cooking and baking demos, two other workshops were offered to participants. 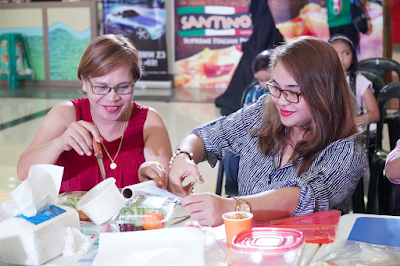 These included a Bento making workshop facilitated by Russet Cainglet and a Paper Flower making class headed by April San Pedro. 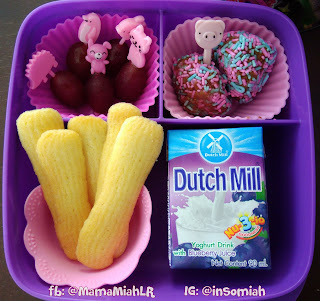 Bento making is the art of packing a lunch box filled with food shaped into colorful images and cartoon characters so that they’re especially attractive for little kids. La Germania workshop participants tackled the various techniques to make these fun-packed meals tempting for even the pickiest eaters. After making edible art, La Germania guests also learned how to make beautiful paper blooms that could be used to decorate their homes or apply in various craft projects. 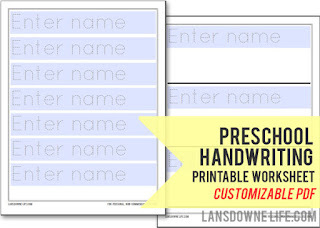 There are dozens of ways you can make your hearth and home welcoming. Through La Germania’s Welcome Home mobile exhibit, you and your family members can find out how you can make your household warmer, more delightful and inviting. 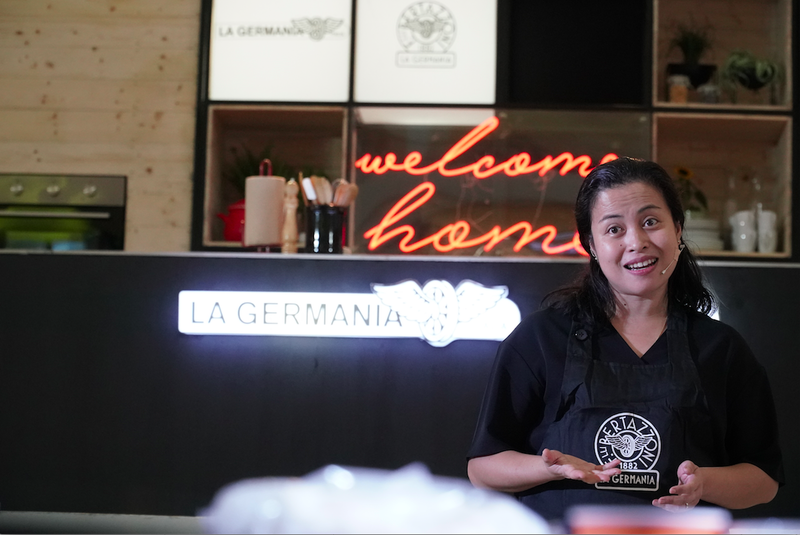 Follow La Germania on Facebook @LaGermaniaPh and discover why its Italian heritage is loved in Filipino homes. Hello Davaoeños! 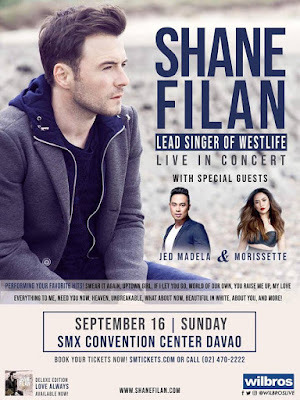 I'm so happy to announce that Shane Filan will be in Davao, for his much-awaited live concert featuring Westlife’s greatest hits and more on Sunday, September 16th, 8:00pm at the SMX Convention Center-Davao of SM Lanang Premier. Shane Filan will be joined by two of the best OPM artist today, Mr. Jed Madela and Ms. Morisette Amon. 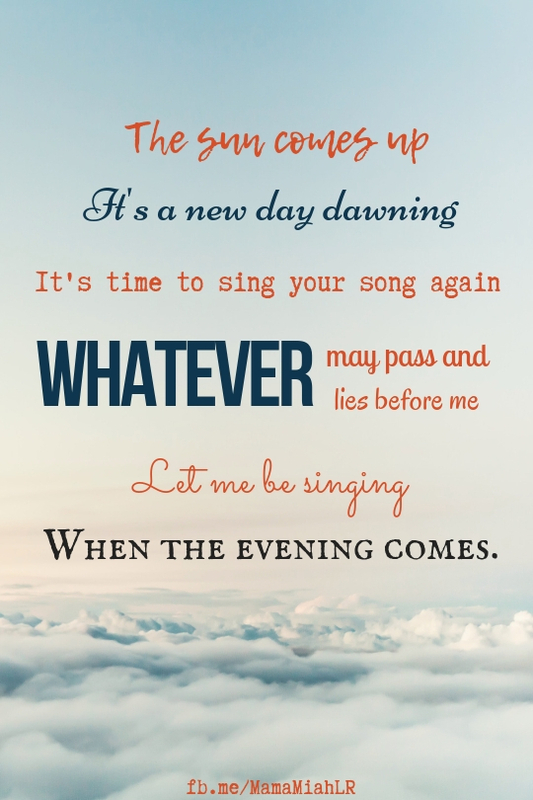 Davao fans will hear their favorite hits like “Swear It Again”, “Uptown Girl”, “If I Let You Go”, “World of Our Own”, “You Raise Me Up”, “My Love”, “Everything To Me”, “Need You Now”, “Heaven”, “Unbreakable”, “What About Now”, Beautiful in White”, “About You” and more. With his third album, Love Always, delighting both fans and critics, Shane’s solo career is quickly gaining momentum. It’s already been a huge hit all over Asia, securing the number one spot in the Philippines and Indonesia, Love Always has proved a major hit with fans. Shane is also thrilled with the album’s top five position in the UK charts, placing him on an even footing with the biggest names in world music. Catch Shane Filan – the lead singer of Westlife – up close and personal live in Davao City! Want to watch Shane Filan Live in Davao Concert for FREE? 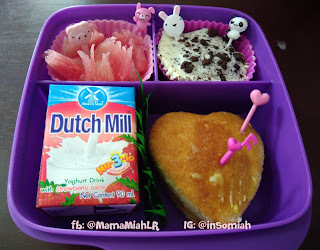 Join Mama Miah's Giveaway on Facebook and you might be the lucky winner! Mama Miah will announce the winner on September 12, 2018, so watch out for it. Union Market at Azuela Cove. Wiltelcom at SM City Davao (2nd Level, Annex Bldng). SMTicket.com or call (02) 470-2222. For Ticket Info: 0922 6950284 or 0956 7267671. 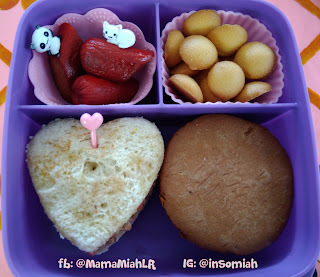 I started making Bento snacks for my daughter two years ago when she was in Nursery. 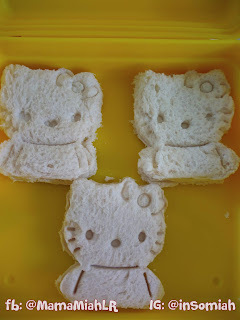 I was always fascinated with cute and creative photos of Bento Box that I see on Facebook. 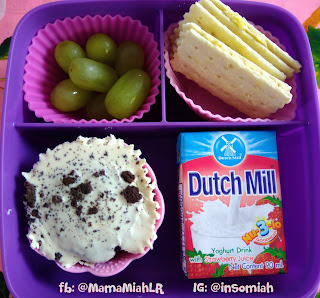 I happen to know a fellow Mom who sells materials for making bento snacks and she also makes one for her kid who also happens to be in the same school as my daughter. So we met and I bought a few bento tools that I can add as decorations for my bento experiment. 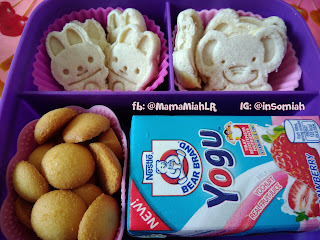 I am a newbie in bento making so I just rely on my cookie cutters and cutie food picks. 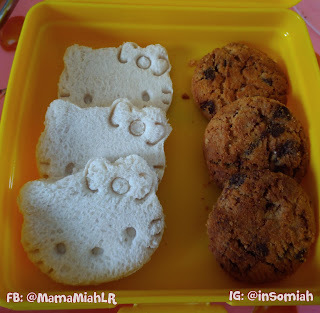 I used some of my cookie cutters that I bought at Daiso before when I was still into baking and store the snack using our trusted Tupperware Square Divided Lunch Box and Tupperware's Sandwich Keeper. 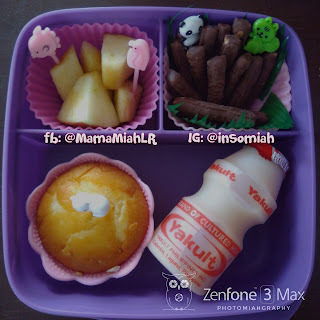 If you're looking for a durable and safe bento box for your kids, you can message me at m.me/mamamiahph. Receive Western Union Remittances Straight to Your PayMaya Account! ..And though she be but little, she is fierce.